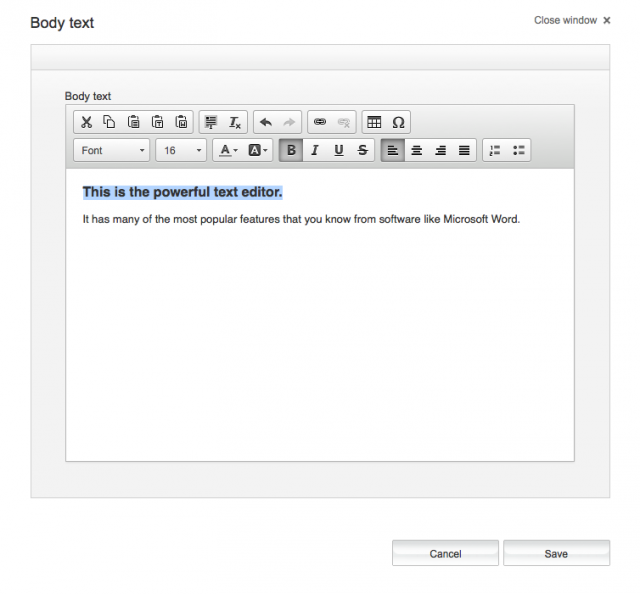 The powerful text editor has many of the same feature you know from word editing software such as Microsoft Word etc. You may change font size, alignment, color and font types. The text editor also supports tables, links, text insertion and bullets. The text editor automatically strips undesireable HTML tags from text you may copy/paste in from other sources. You may also use the "paste-as-plain-text"-feature to ensure that formatted text are not inserted. The image editor allows you to rotate and crop images. 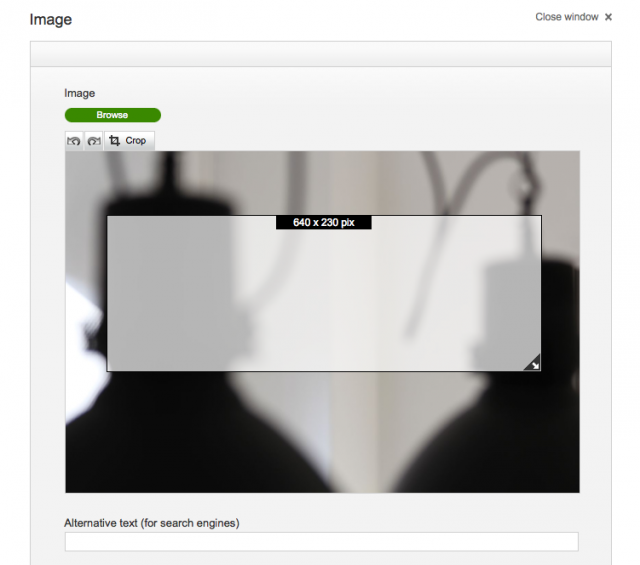 It automatically optimizes images and saves them in a web-friendly size/format. There are no fixed height requirement for images. However to ensure optimal screen display a minimum width is required. Please note that the minimum required width of an image may depend on the module selcted and the width of the column you place the module in. You may crop an image using the crop button. When cropping the pixel size of the image is indicated in the cropping tool. Suported image formats include: Gif, .jpg, .jpeg and .png.